Netta Barzilai is an Israeli singer and looping artist who gained fame for winning the Eurovision Song Contest 2018 in Lisbon, Portugal, with her song “Toy”. She is the fourth Israeli person to win the contest. She has already won season five of the Israeli singing competition HaKokhav HaBa. Netta Barzilai was born on 22 January 1993, in Hod HaSharon, Israel. Netta Barzilai hasn’t revealed anything about her love life to tabloids making it difficult for us to say anything about the relationship she has had in the past or in the present. 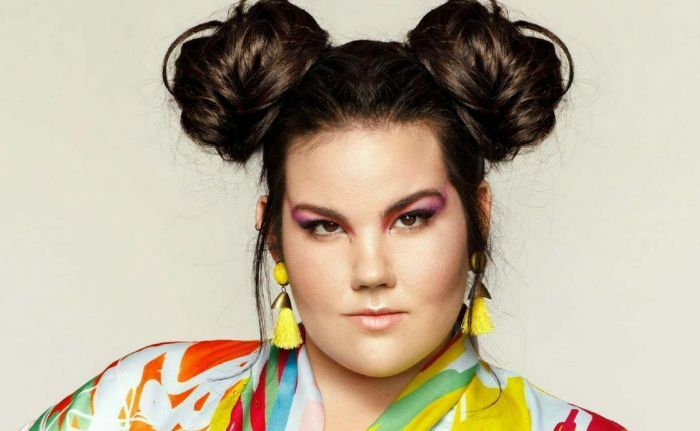 Netta Barzilai released her debut single “Toy” on March 11, 2018, which was written and composed by Doron Medalie and Stav Beger. In 2017, She appeared in the season five of HaKokhav HaBa, Israel’s national selection for the Eurovision Song Contest. She performed the mashup of “Gangnam Style” by Psy and “Tik Tok” by Kesha and won the show. Her appearance in the Eurovision Song Contest 2018, held in Lisbon, Portugal, and eventually winning the contest. There’s no information related to her net worth available at this time. Her father moved the family to Nigeria when she was two months old. She lived there until she was four years old before returning to Israel. Prior to her mandatory enlistment to the Israeli Defense Forces, she spent a Service Year volunteering in the paramilitary Nahal and did her military service in the Israeli Navy Band. Barzilai performs at clubs and weddings around Tel Aviv. In 2016, she formed a music band called The Experiment. She’s the lead vocalist of the band and has toured across the country performing their special freestyle improvisation gigs. Besides singing, she did take several jobs over the years from waitress to kindergarten teacher to a babysitter. She is fond of kids and her dream was to be a kindergarten teacher. Barzilai spends a lot of money on clothes because most of her dresses are designed by Israeli designers. It is hard for her to find perfect clothes in stores because of her plus size and thus she goes for custom designer collections. Barzilai is the first artist ever to use a vocal looper on the Eurovision stage. She resides in Tel Aviv.